Perhaps you own a remote plot of land which you want to enjoy without being entirely cut off from the world. Or maybe you have the perfect location to appeal to the burgeoning number of tourists seeking out a memorable glamping holiday but your picture-perfect spot has no access to the mains. No problem as solar powered shepherd huts come to the rescue. How will you know how much solar power I need? Shepherd huts have all manner of uses from home offices to art studios, private retreats to the glampers paradise therefore the first thing we assess is how much power you will require for your hut. We then consider where your solar panels will be located and combine the two which gives us the size of the system you will need. All our Holiday Huts come with the option to have either a mains or solar power pack fitted. 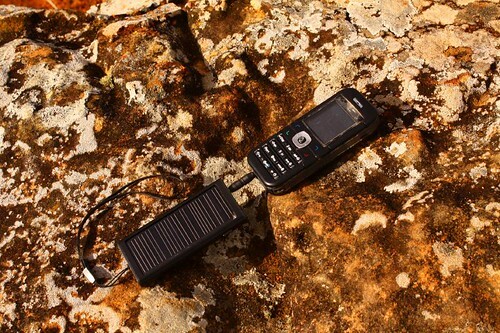 This basic solar package is sufficient to power four LED lights and the always-essential USB; we may want to get back to nature but most of us don’t want to do it without a fully charged mobile phone! For the majority that will be enough, especially when combined with LPG gas for hot water, refrigeration and cooking appliances however if you want to power a TV, computer or hairdryer you can do that too, it’s simply a question of assessing what you want to use and matching it to the appropriate package. Consider what you need carefully as with anything in life the bigger the solar installation the higher the cost and the more associated paraphernalia. However, should you under-estimate your needs then you may find yourself running out of power. Fortunately, solar is relatively easy to add to if your usage increases over time. For more information on how solar might work for you, and how much it will cost or for more general advice on setting up and off-grid glampsite contact Glenn & Josephine who are always happy to chat about shepherd huts!